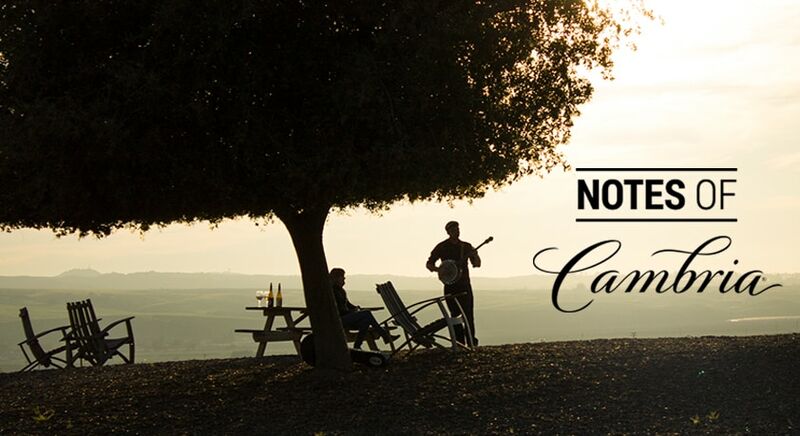 This post about pairing music and wine was sponsored by Cambria Winery as part of an Influencer Activation for Influence Central. All opinions expressed in my post are my own. My husband and I are passionate about music. Our house is filled with instruments, stereo systems, and a speedy internet connection for buying concert tickets to local shows. Our tastes in music differ widely but we have learned to take turns controlling the radio dial on long car rides! There is just something about music that speaks to us on a deeper level. When I was asked to share with you the idea of pairing music and wine, I thought it would be a perfect fit. And since Cambia Wines has put together the Pinot Noir Waltz and the Chardonnay Shanty, you have an easy way to get started! These musical pairings are a brand new approach to experiencing, learning, and talking about wine to encourage conversation and exploration. Besides loving music, my husband and I also enjoy a variety of wines. The idea of pairing wine with music was a new one for us. We tend to just turn on whatever we are in the mood for, without much regard to whether it fits with our wine choice. I was intrigued about the Cambia Wines music and wine pairing. Check out their video below to see more about the creation of the songs. 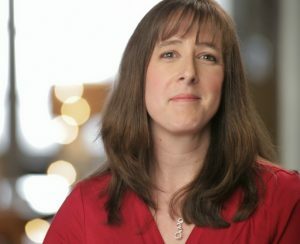 The composer gives some very unique thoughts about how he was inspired to create each piece! As an aficionado of good wine, I learned long ago that different blends impart different flavors. A lightly sweet and refreshing white will be a completely different experience than a bold, rich, red wine. 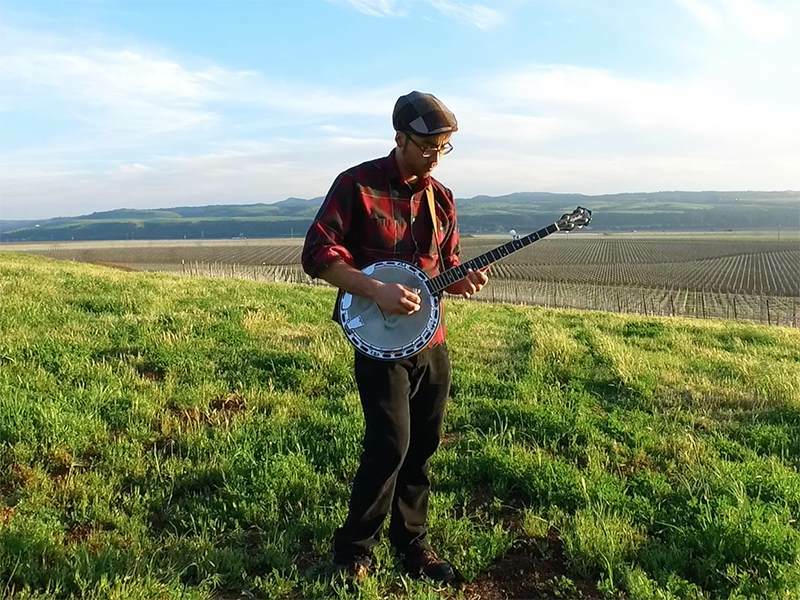 Watching musician, Kalei Yamanoha, give his inspiration and creative ideas for composing the Pinot Noir Waltz and Chardonnay Shanty was fascinating. The Chardonnay Shanty, created for the Cambria’s Benchbreak Chardonnay, has a very light and upbeat feel to it, while still being sophisticated. I love the slow, sweet way that the song ends, which mimics the sweet flavor of the Chardonnay. I can see myself enjoying this wine at a summer concert in the park. It would be perfect for a fun night out with friends. The Pinot Noir Waltz, created for the Cambria’s Benchbreak Pinot Noir, has a more down home, rustic feel to it. The song is a little bit bolder, without being overpowering. Just like a red wine is bolder in flavor than a white! This would be a wonderful wine to enjoy by the backyard fire pit on a chilly, fall evening. Want to host a party where music and wine are paired together? There are a few different ways you can go about it. You Provide Music and Wine: Choose four to six varieties of wine that are really different. Try everything from a sparkling white to a smoky red. Have your guests try each of the wines and write notes about their experiences. Start with the lightest of the wines first! Then, choose 10 or so songs to play and ask your guests to share which wine they would drink with each song. Let your Guests Bring Music: Ask your guests to bring two or three of their favorite songs. As the music plays, allow your guests to sip on the wine and nibble on whatever appetizers you set out. Ask them which pairings they prefer. Ask Everyone to Bring a Wine and Music: Ask each of your guests to bring a wine and a few songs they would pair it with. Assign each guest a type of wine so they are all very different. Keep the contributions a secret and ask your party goers to vote on the combination they like best! Cambria’s Benchbreak Chardonnay and Benchbreak Pinot Noir are high quality, immensely flavorful wines from Santa Maria Valley. 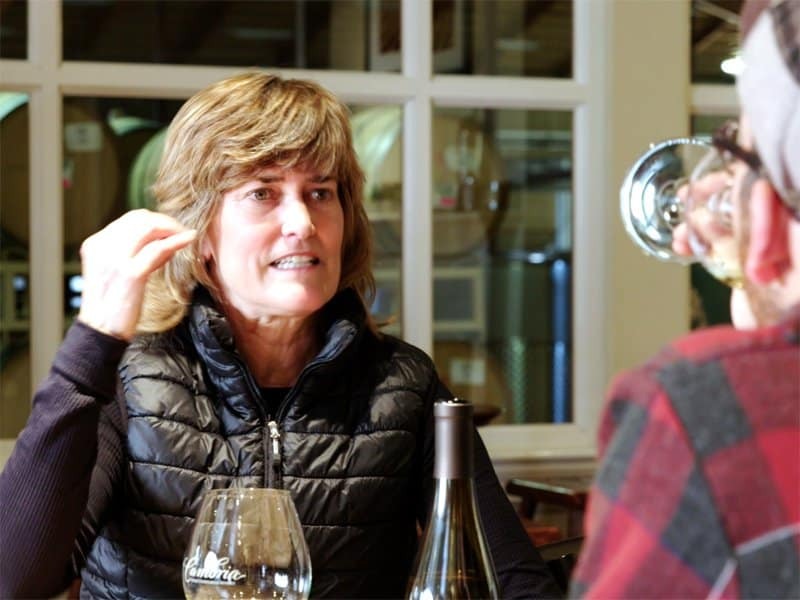 It is a family owned and sustainably farmed vineyard in California, right where the foothills meet the valley floor. Each wine is grown, produced and bottled right on the estate. If you would like to learn more about them, check out the Cambria Wine Store Locator or follow them on Facebook and Twitter. 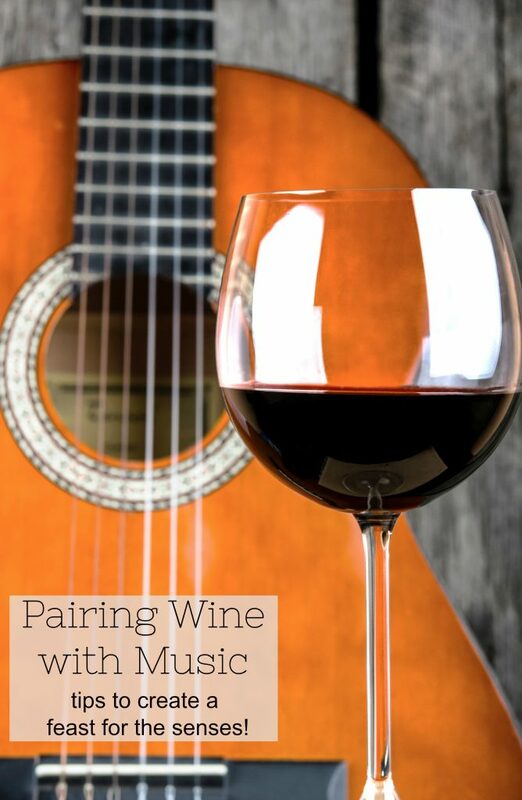 Have any other tips for pairing music and wine? I have never thought about pairing wine and music. It's an interesting concept. We will have a house full of music this weekend as my husband's band visits our house and plays a neighborhood gig. Wine, friends and music = bliss. That sounds like an amazingly fun time! Hmm I've never really thought about how music and wine could pair together. Having a wine and music pairing get together is something I could see my mom doing. I love music too. I have just begun to start learning about wine so this is really helpful. Thanks!